Any well-heeled lady who’s ever put together a smart head-to-toe outfit knows that the right shoe can kick up her ensemble, and she’s probably subjected her feet to many a pinch or blister for the sake of style. After all, beauty is pain, right? 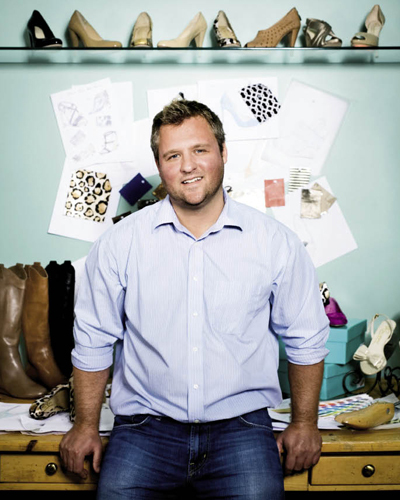 Not necessarily, says Blakehall Footwear founder and designer Blake Vaigneur, who’s taken careful steps to ensure that his Rowen and Blakelee lines not only look good, they feel good, too. And while his personal laid-back loafer look attests to his understanding of comfort, the sassy pumps, wedges, and sandals that he creates are far from loafs. 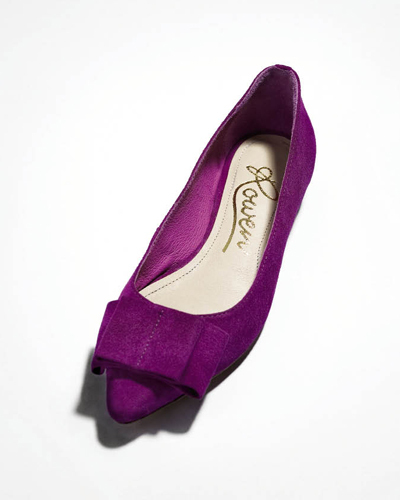 So how did this Clemson finance grad become such an expert in women’s footwear? Let’s just say he followed in his mother’s footsteps. The youngest son of Copper Penny retail matron Penny Vaigneur, Blake helped his parents launch the clothing boutique’s sister store, Copper Penny Shooz, shortly after his 2002 graduation. “I had high hopes of becoming a financial planner, but my mother presented me with an offer I couldn’t refuse,” says the 33-year-old, who stepped in to oversee operations of the new store. There, Vaigneur came to recognize both what women wanted and what they couldn’t find in footwear. (He observed, for instance, that a 60-millimeter heel is too high for most, but a 50-millimeter heel is too low; 55 millimeters, about two and a half inches, stands at just the right height.) “Shoe design is much more than just creativity; 70 percent of it is the technical ability to make the shoes wearable,” explains Vaigneur, who debuted a simple collection of flat sandals in 2007 before expanding into women’s dress shoes. To gather inspiration for his creations, the designer watches current trends, spies at the fancy feet of those around him, and takes notice of interesting construction in other forms (a flower box at a nearby coffee shop, for example). He also researches the relationships between pop culture and past styles (like the connection of the go-go boot craze to the moon landing in the late 1960s). Before spending months at the drawing board developing sketches, Vaigneur cobbles leather pieces onto a hand-sculpted wooden last, a form of the human foot, to shape the toe and upper portions of a prototype. “There are certain specifics to an ideal U.S. fit,” notes the designer, who travels a couple times each year to his partner factories in India and Brazil to finesse and finalize his line for the upcoming season. On his hands and knees with a measuring tape in front of a model, Vaigneur tosses out instructions of how each shoe should fit to the millimeter. “If the heel cup is too tall, the back of the shoe will irritate,” he offers by way of example. In the end, the patent, gold-brushed, and Vachetta leather goods he uses perfectly fit his vision—and that of his customers. And impress them he has. Vaigneur’s creations have quickly become favorites in boutiques across the Southeast, and this spring, Anthropologie’s bridal shop, BHLDN, picked up the exclusive on his iridescent slingback. But this designer isn’t just kicking back in the midst of all his success. 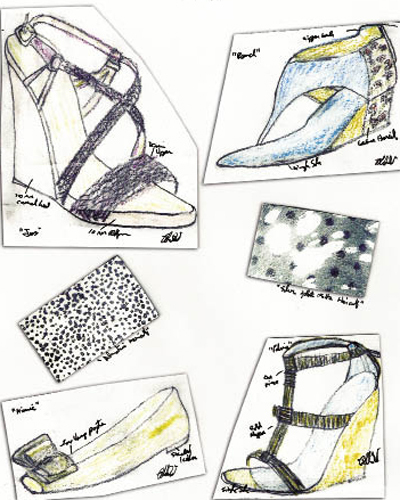 He has partnered with a major textile supplier to create a cotton canvas print that will find its way onto espadrilles and heels next spring (look for pops of watermelon, yellow, and teal), and he’s at work on a new “funky” line for 2012. Vaigneur certainly has made great strides in the footwear fashion industry with his look good/feel good approach. This shoe indeed fits.